Filming for this wedding was so wonderful and relaxed. Close family and friends and everything happening at the one location made things so easy. Aroha works with children at Rainbows End as an entertainer – when I went a few weeks ago she was dressed as my daughters’ favourite, Wonder Woman! 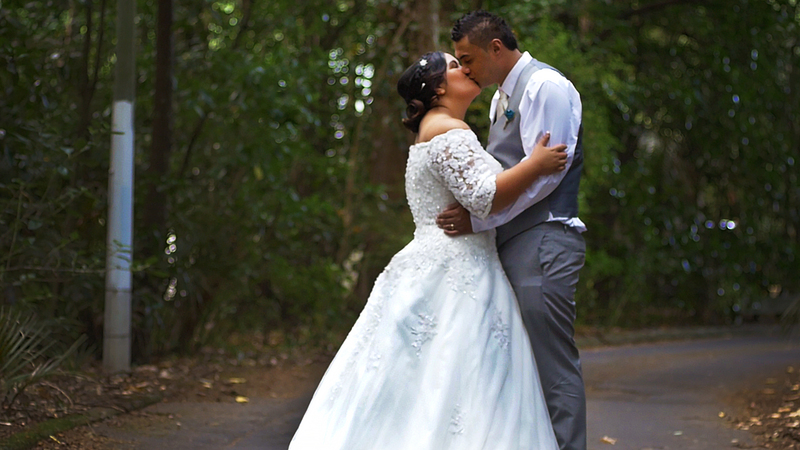 She loves all things Disney and so, wanted to incorporate some Beauty and the Beast soundtrack into her wedding film. We later found out that their honeymoon … was at Disneyland! How fitting!